To get locked out of your office it is not a situation anyone wants to be in. However, it happens frequently and we at Andrea Locksmith want our customers to be safe and use our Commercial Cambridge Locksmith Services at any time of the day or night. We are here to help you with any emergency entry to your home, office or vehicle of any kind. Don't stand around waiting for a locksmith to open. Call us as we are open 24/7 and all year long as well. When you call we are on our way quickly! 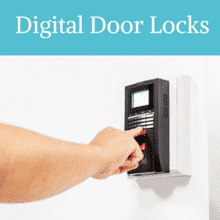 Have you been looking for digital doors locks for your office or home? Andrea Locksmith has what you have been looking for! We are ready to fit your office or home with the best locks. We delight in meeting our customers’ need at their convenience. Once you contact us, we will guide you in choosing and installing high quality locks within your budget. We have brought down our prices on some selected brands of digital locks. Speak to our 24/7 customer service and find out more about our locks and current sale. You can never go wrong by choosing our products and timely installation services. 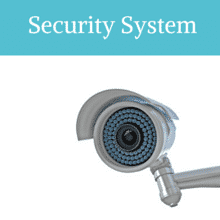 There are so many security systems in the market today and each provider promises you quality systems. How do you choose the most reliable system from all these choices? You only fit your home or office with a new security system once in several years. You must go for a reliable and the most secure system. Again, securing your home should not cost a fortune. We realize that our customers work with different budgets and have different needs. Therefore, Andrea Locksmith gives you several options at different budget levels. You will find the best system to meet your need within your means. A master key system enables you to control access to various sections of your office easily. It also simplifies access because you just require one or two keys to access many rooms. If you need to install master key system in your office, Andrea Locksmith will provide you with reliable installation services at friendly rates. 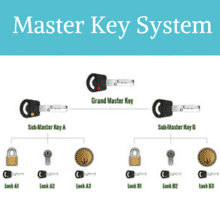 You will get personalized advice on the best master key systems in the market. We are your one-stop shop for quality security products and installation services. You can reach us and discover better security products for your home or office. Get the best services today! When you want to control access to different areas of a home or business, using magnetic locks is a great idea. We at Andrea Locksmith offer a wide range of magnetic locks for a wide variety of uses such as: gates, all manner of cabinets, swinging doors, and to also control access for entry way doors with businesses as well. Because these types of locks do not have any moving parts they are less likely to fail and last much longer. 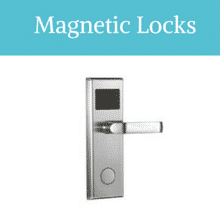 Contact us for a list of magnetic locks we carry and their prices and what your needs are for locks.